With this utility you can easily move or resize your selected range of cells. 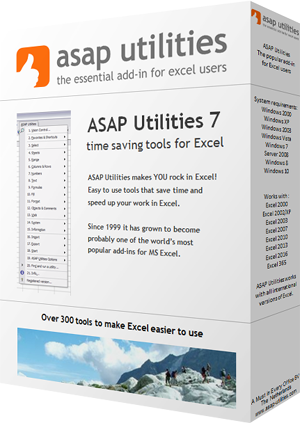 This utility will only change you selected range of cells, not the data underneath it. This is very powerful tool in combination with for example the "Select cells based on content, formatting and more..." utility. For example, if you have to make the cells in column B bold where the value in column A is "The Netherlands". You can then use the conditional select on column A and then use this "move" utility to move your selected range one column to the right. You then have selected all cells in column B that have in the same row the value "The Netherlands" in column A. By default you can start this utility with the shortcut Ctrl+Alt+M. Tip: Select cells automatically based on their contents, formatting, etc. « Return to the list of “Select” tools.